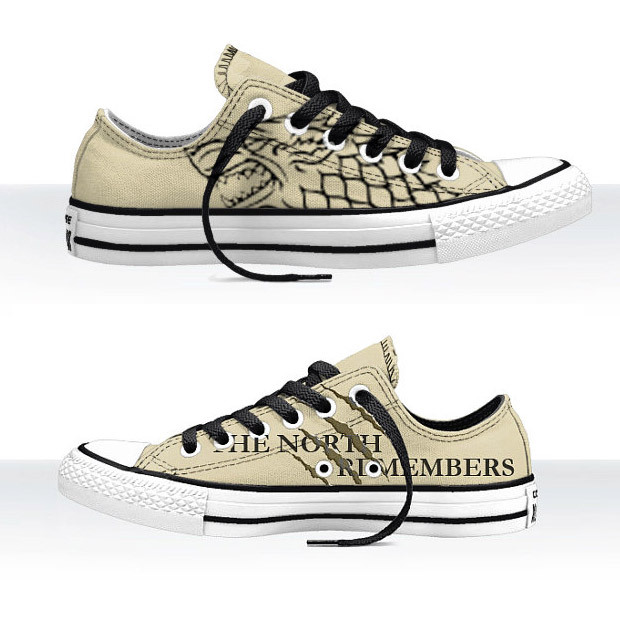 The Etsy shop QuasimodoughOfficial creates these awesome custom-designed sneakers based on the worlds of Doctor Who and Game of Thrones. There are a bunch of great designs to choose from and we’ve featured a few of our favorites here. 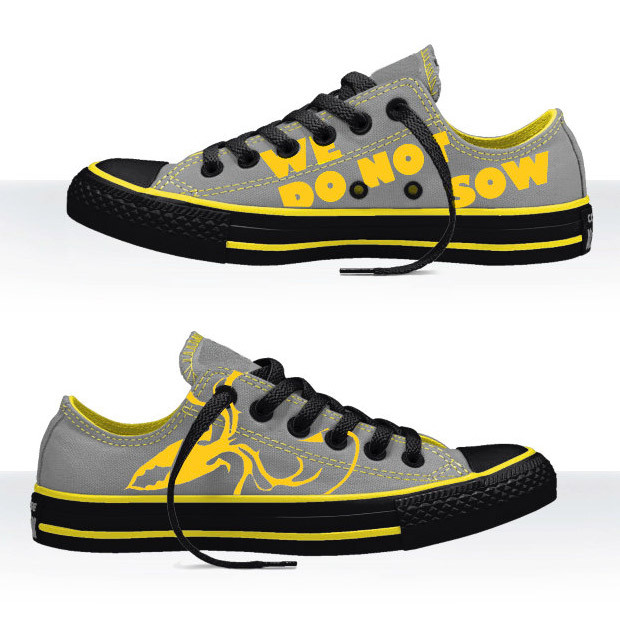 Be sure to check out the shop for the full selection. 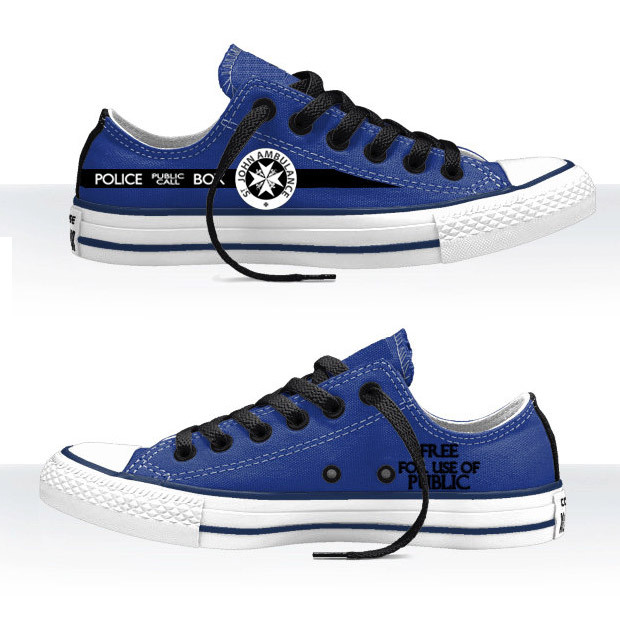 The shoes are made to order and come the usual sizes. Allow 2-3 weeks from ordering to shipping (from the Philippines). 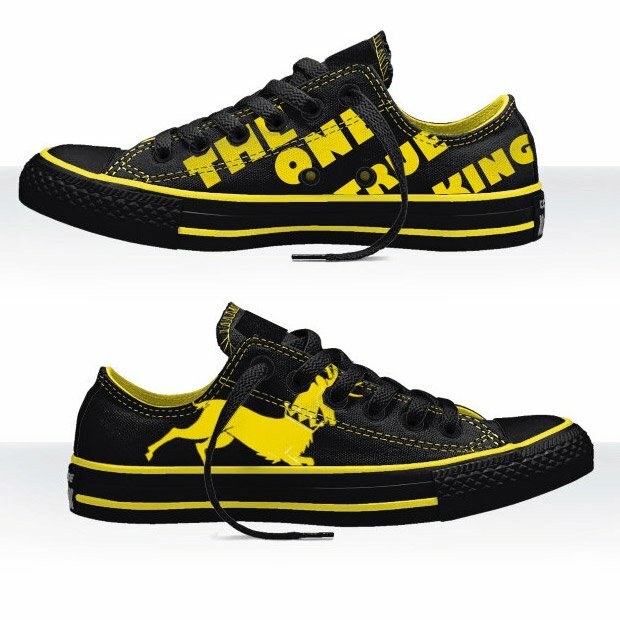 Each pair is priced at $65 USD. 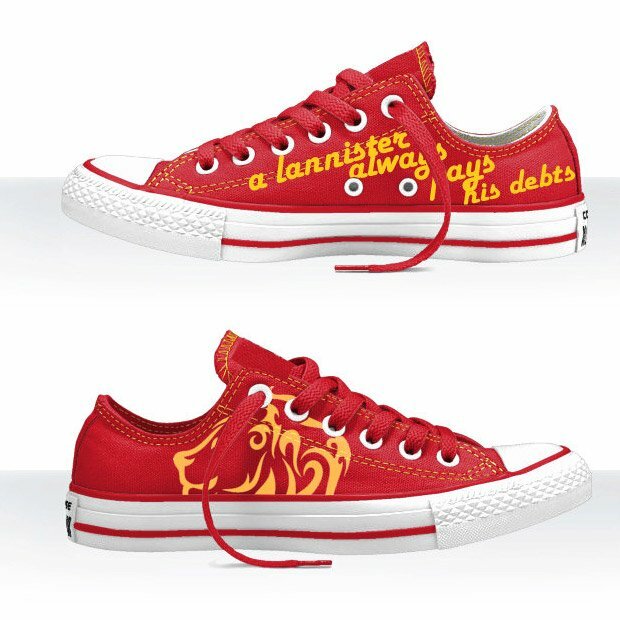 And don’t be fooled, these are not Converse sneakers, although the maker says they’re high quality nonetheless. 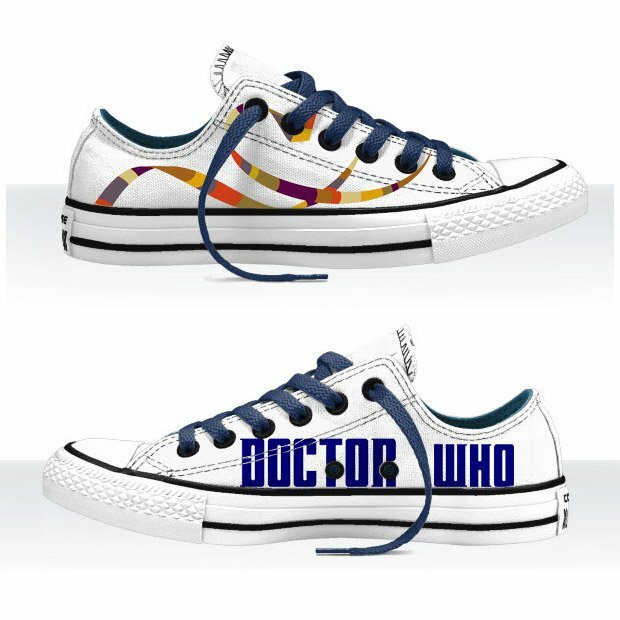 Of course, if you’re ordering the TARDIS shoes shown above, you might want to order one size smaller since they’re bigger on … well, you know the rest.